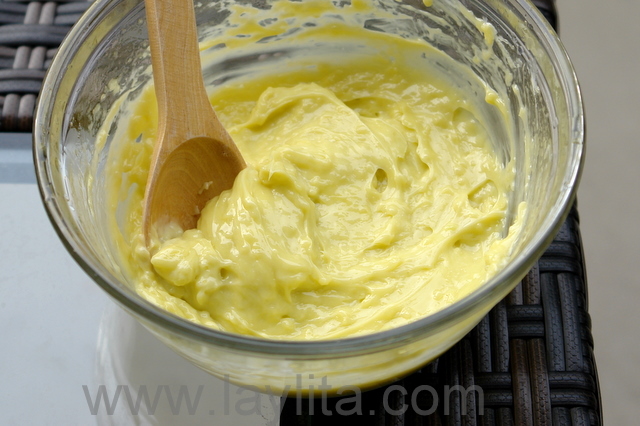 Homemade aioli is one of the tastiest sauces of French/Spanish cuisine, and contains a short list of ingredients. Yet, it takes knowing the few tricks that either turn it into a success or a disappointment. We’ll show you how this works here for consistent results. I grew up in the South of France in the region of Provence, where aioli is very popular. The etymology of the word comes from “ail” which means garlic and “olive”, the word being the same in French and English. 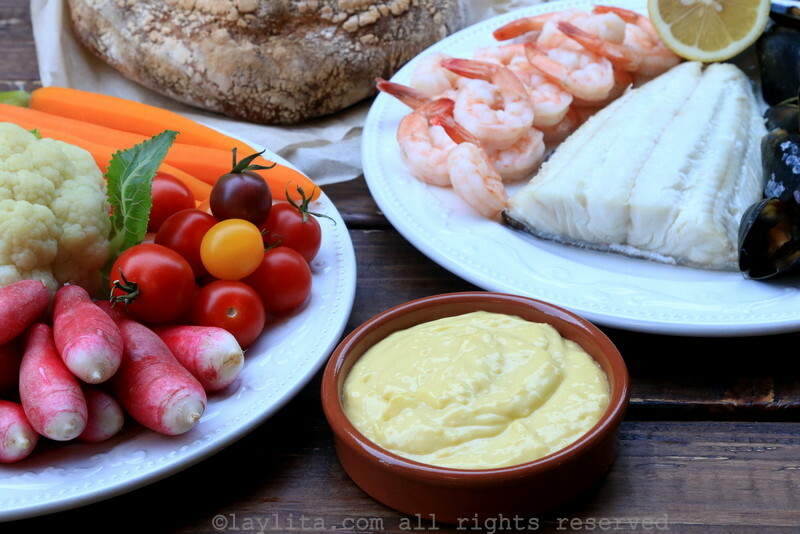 Easy recipe for homemade aioli from scratch. 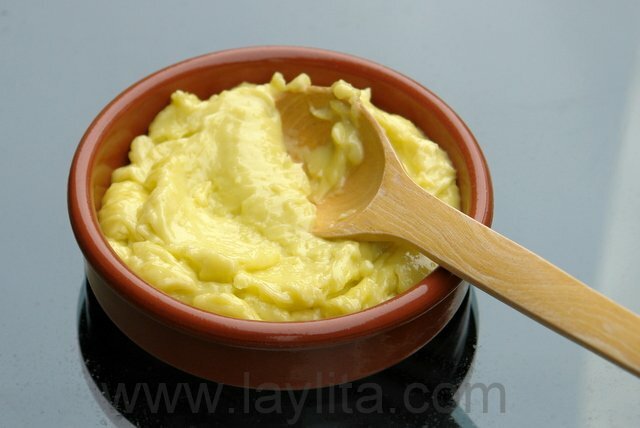 Aioli is a French/Spanish garlic mayonnaise sauce made from crushed garlic, egg yolk, olive oil, lemon juice, and salt. 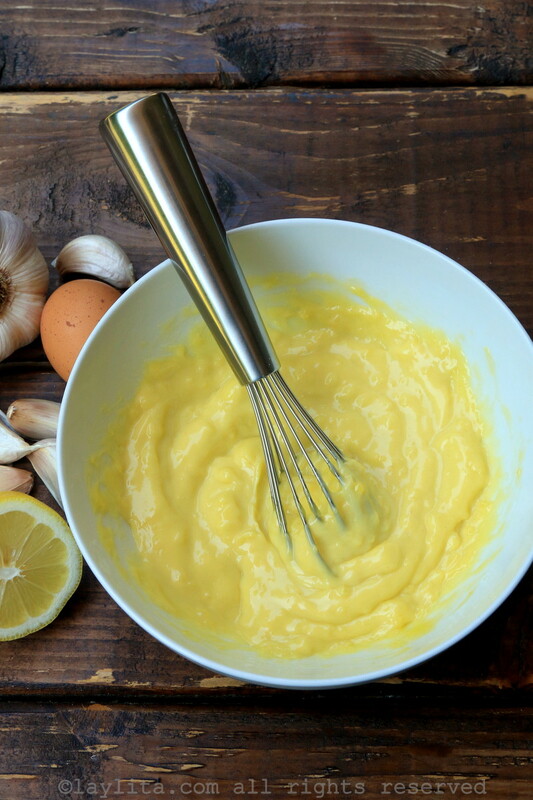 There are many stories about making aioli being an exercise of faith: sometimes, the olive oil blends and solidifies with the egg, and sometimes it doesn’t, no matter how hard, long or fast the ingredients are whisked. It’s happened to us, and then we learned. Time to teach magic. 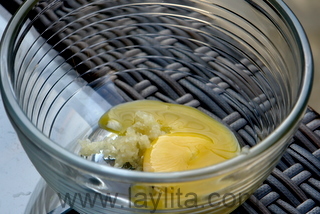 The success or failure of aioli comes in the first 10 minutes when the olive oil comes in contact with the egg and garlic. 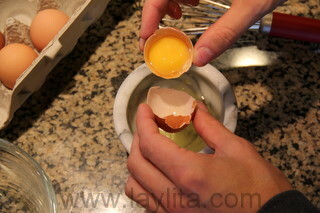 The two factors that make it work are 1/ mixing the egg with very small drops of olive oil at the beginning. If you add too much oil immediately, the aioli is missed beyond repair. You can add more oil, beat it harder, chances are it will remain liquid and never catch on. The first drops of olive oil make the initial chemical bonds that solidify the sauce and set the foundation for everything else. You can add oil faster later, at about 2cl rate, every 2-3 minutes. You’ll see very quickly that from start to end, the sauce never gets liquid. If it’s liquid, it’s not aioli. Now, time for the secret number 2: garlic has emulsive chemical properties that directly contribute to the consistency of the sauce. Crush it all and add it to the mix from the very beginning. The amount of garlic is therefore both a matter of taste and necessity. Aioli can be quite strong if you put too much of it, and if you put too little you’re risking upsetting the bonding process. 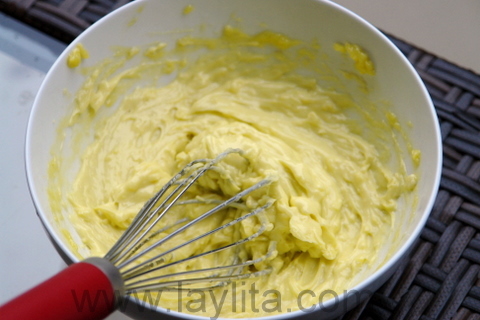 Now you know the secret of making aioli and the preparation is a set of simple tasks. Separate the white and yolk of an egg by breaking the shell half open and gently dropping the yolk back and forth; the yolk must stay whole and not break during the process. 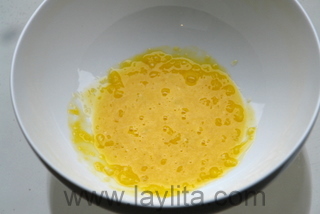 About one minute later, add a few more drops, again in very small amounts, whisk between oil increments. 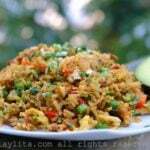 Keep adding oil in tiny amounts for the first 10 minutes until you have a thick base. 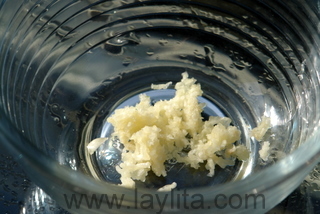 The aioli, once 10cl of oil have been poured, becomes more solid and harder to stir. 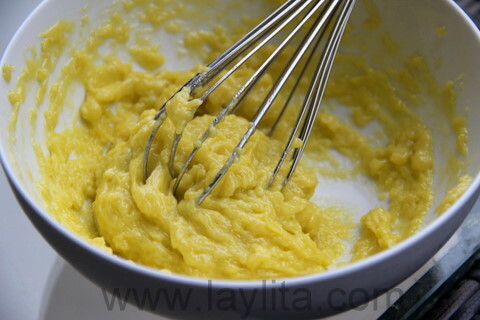 It may also get caught inside the whisk, which is fine. Carefully tap the whisk handle onto the bowl (holding the latter, naturally) and repeat occasionally to retain homogeneity of the sauce. You can add oil a little faster now, at about a 2cl rate. At the very end, add lemon juice to your taste. This will help smothen the sauce and give it a crisper, fresher color. There are many ways of enjoying aioli. The classic dish from Provence is to steam fresh vegetables such as carrots, potatoes, asparagus, pretty much any vegetable. Often times, aioli is paired with a fish that is also steamed or poached, and lightly seasoned with herbs, olive oil and lemon. Beyond traditional pairing aioli is great with meats as well, so it’s really up to the cook to match the tastes and be either classic or creative. This is THE BEST recipe for aioli. The technique is perfect. If you follow this exactly, you’ll have perfect aioli. Thank you! Is it okay to use a good thick rich olive oil, like I would for a balsamic vinaigrette or is it better to use light olive oil like i do when i make homemade mayonnaise. 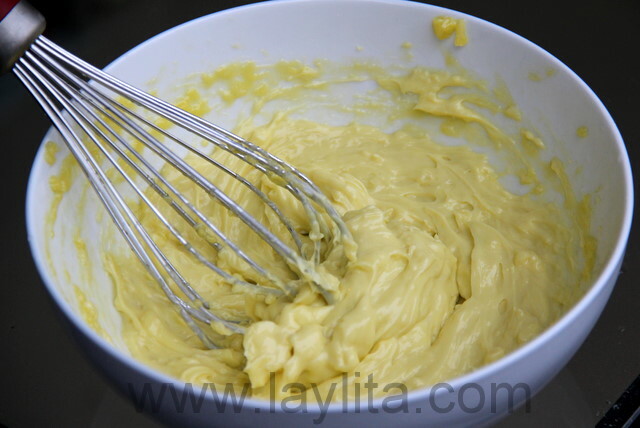 When have used a yummy flavorful olive oil for making mayonnaise it comes out much too strong and a light olive oil tasted much better. I look forward to your reply! Hi Molly – You will probably prefer the lighter olive oil or a young smooth olive oil that doesn’t have that strong spicy flavor that can overpower the aioli. 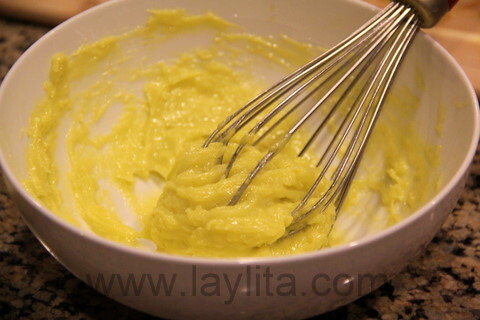 For a non-traditional, yet super fast way to make Aioli, add all the ingredients to a small cup and then blend till super creamy and think using an immersion blender (the hand held type). One of my favorite variations is to substitute the juice of about 1/2 of a small lime for the lemon and to add 1/2 to a whole (depending on taste) roasted Poblano. I add the Poblano to the Aioli after it is blended smooth, add a tad more lime juice and blend a second time. Including the time to roast the pepper, should take 20 minutes. Hi! 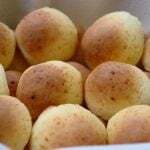 I would like to make a point on the origin of the recipe, at least on the origin of the name “allioli”. Allioli is a catalan recipe and the name means garlic (“all” in catalan – ail in french, note the different spelling) and “oil” (oli in catalan – huile in french). The “i” between the two words means “and” in catalan (which is “et” in french). It will be: garlic and oil. Allioli is one of the most famous and used sauces in Catalonia. Romesco – a sauce we use to eat the calçots (bbq cooked spring onions) – is the most popular. Catalonia is a country within Spain and it has its own culture, language and history. It is sometimes a shame for catalan people to see how our culture gets mixed between the Spanish and the French cultures and no one recognizes it as a culture by itself. Congratulations, I really like your blog and that’s why I care about the information you post. Hi María – Thanks for the background information. Given the proximity of Provence to Catalonia it explains the influence on the food. Also my husband’s family on his father’s side are originally from Catalonia – so even more influence from Catalonia. Thanks for this magic tip! I’m ready to make my aioli recipe.